Mr Anthony Austin is an associate lecturer at the TC Beirne School of Law, The University of Queensland. Mr Austin’s interests lie in the field of methods of teaching law, teaching business law to non-law students, contracts law and issues of intellectual property law. Mr Austin has also taught business law at Griffith University and contracts law at The University of Queensland and the University of the South Pacific. 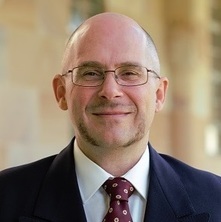 Mr Austin graduated with his Bachelor of Laws from the Queensland University of Technology in 1994 and obtained his Masters of Laws from the Queensland University of Technology in 1997. He practiced as a lawyer primarily in commercial and intellectual property law for 8 years before teaching at university.